Color Me Happy Pattern Giveaway! 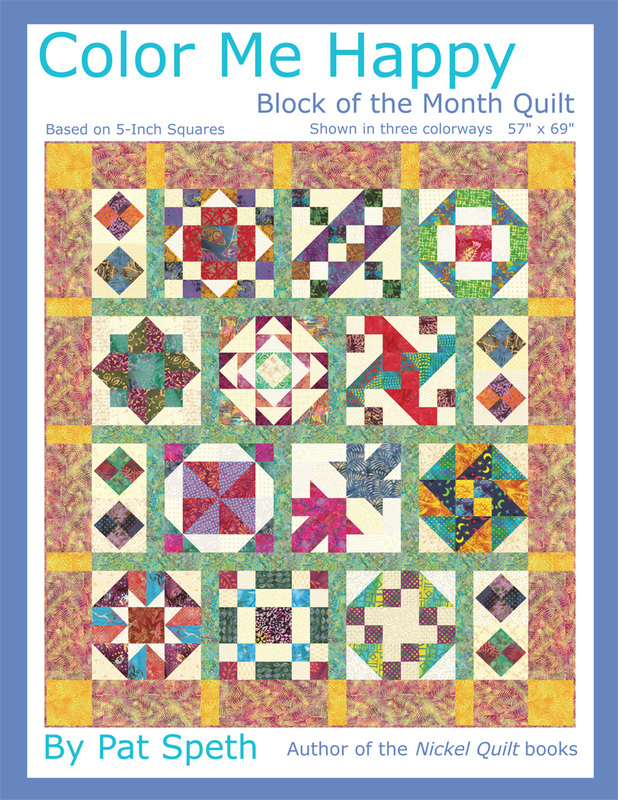 Color Me Happy is my Block of the Month. To enter this giveaway all you have to do is like my Facebook page and like the Facebook post dated Jan. 29th by noon on Feb. 2, 2015. This giveaway is for one set of the instructions that will include all 13 steps. I’m spending today assembling pattern packets for Color Me Happy and I thought a giveaway was the perfect way to spread the word about this BOM! As I was putting them together I realized the setting I used for this BOM would be a great way to set the Deli Geese blocks together. I love this setting! By adding half-blocks to the rows on opposite ends, it’s an easy and fun way to create more interest in the quilt rather than using just a plain 3 x 4 set. Then, the assembly method I used is a cinch! The whole quilt is put together in rows, the border pieces are part of the row! So for those of you that are stitching up the Deli Geese blocks, give this setting a try. It’s easily adapted to making a larger quilt simply by adding more blocks in each row and more rows to the setting. Color Me Happy pattern packets are available on my website. I also offer a Licensing Fee option for shops and guilds, please contact me if you are interested. To schedule a Nickel Quilt lecture or workshop contact Pat at the email below. 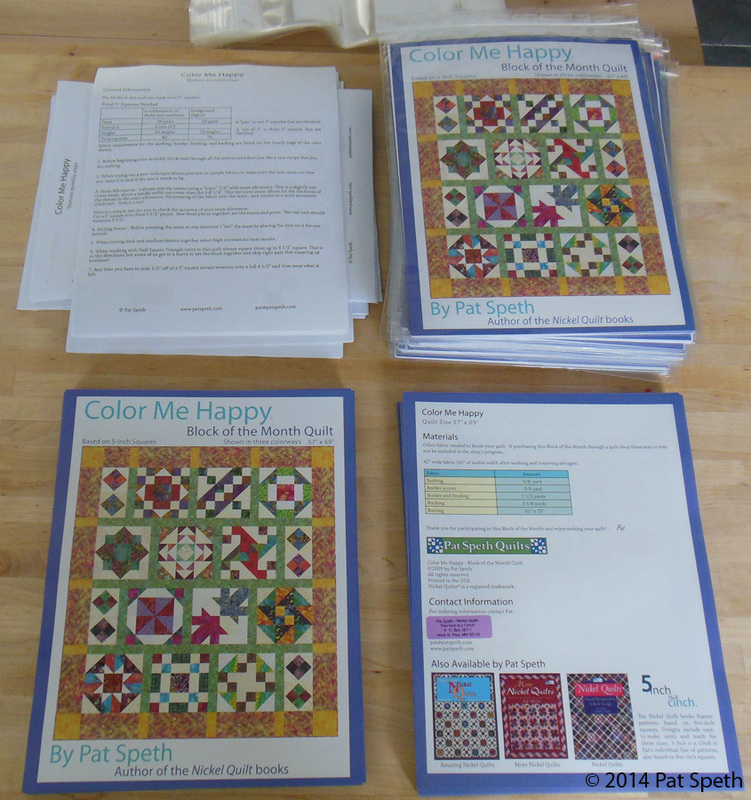 I’ve spent the morning assembling pattern packets for my block of the month, Color Me Happy. As I was putting them together I realized the setting I used for this BOM would be a great way to set the Deli Geese blocks together. Then, the assembly method I used is a cinch! The whole quilt is put together in rows- the border pieces are part of the row!